The base unit of polypropylene with a dewatering unit is made with the possibility of four additional types. To select the type of installation, it is necessary to determine the place where the waste water is discharged. The base unit of polypropylene is made with the option of four additional types. To select the type of installation, it is necessary to determine the location of the discharge of treated waste water. 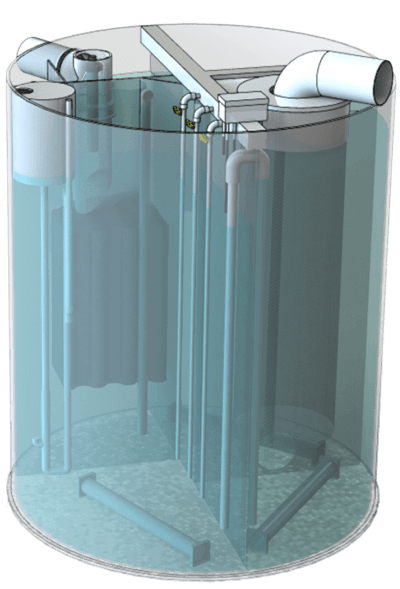 The SBR-polypropylene reactor in a round bore well with a dewatering unit is made with the option of four additional types. To select the type of installation, it is necessary to determine the location of the discharge of treated waste water. 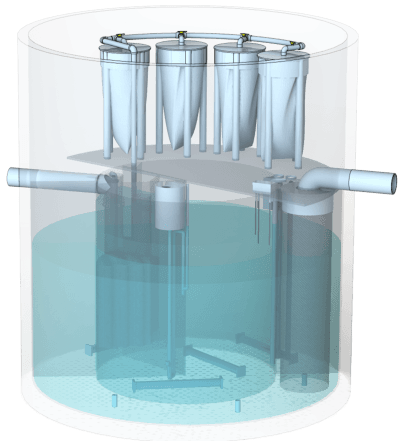 The SBR-polypropylene reactor in a round bore hole is made with the option of four additional types. To select the type of installation, it is necessary to determine the location of the discharge of treated waste water. 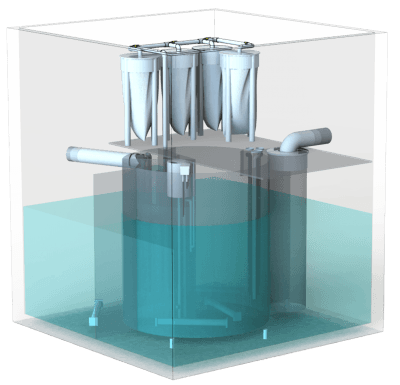 The SBR polypropylene reactor in a square bunker with a dewatering unit is made with the option of four additional types. To select the type of installation, it is necessary to determine the location of the discharge of treated waste water. 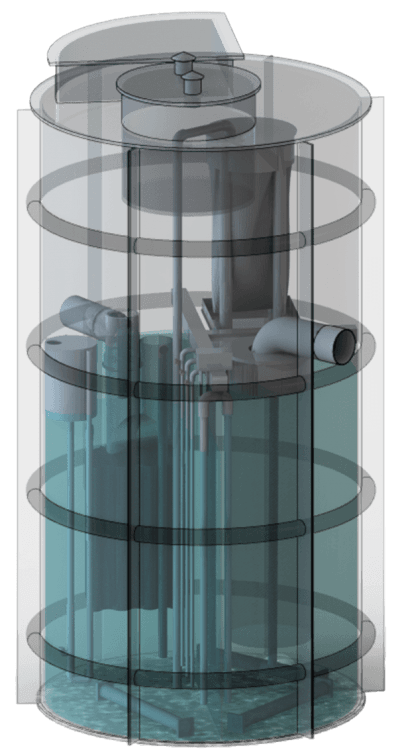 SBR-polypropylene reactor in a square bore hole with a possibility of four additional types. To select the type of installation, it is necessary to determine the location of the discharge of treated waste water. The base unit of polypropylene of high strength with a dehydration unit is made with the option of four additional types. To select the type of installation, it is necessary to determine the location of the discharge of treated waste water. located blowers and control unit. To select the type of installation, it is necessary to determine the location of the discharge of treated waste water. placed near or near the underground reservoirs. To select the type of installation, it is necessary to determine the place of discharge of treated waste water. performance. The ground building may be located above or near the underground reservoirs. To select the type of installation, it is necessary to determine the location of the discharge of treated waste water. Dear visitors of the site, we invite you to get acquainted with our company and become our partners in clean waterreturning to the nature, which we have borrowed and are obliged to return it purified. The meticulous human demands are negatively reflected in the state of nature, especially the pollution of rivers, lakes and groundwater - sources of drinking water byuncleaned or poorly treated sewage. This leads to the fact that using them as sources of drinking water becomes very expensive, and sometimes impossible, due to the complexity of cleaning. The task of our company is to preserve drinking water, qualitatively clearing waste water with the possibility of its re-use for irrigation of green plantations. We realize that nature is our home, it gives the person everything that is necessary for life. BIOTAL biological wastewater treatment plants will help us with this noble cause - preserving the water resources of our planet. 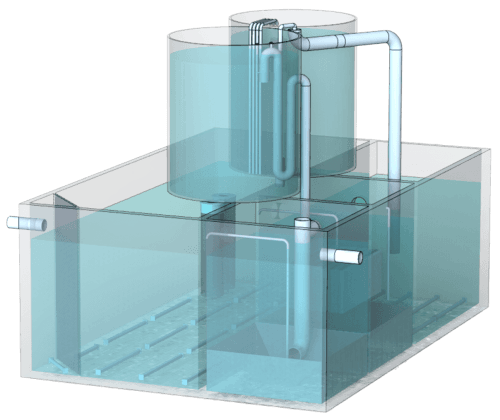 Technology BIOTAL - implementation of a number of new patents, technical solutions, which allowed to solve the traditional problems of small waste water treatment plants in a complex manner. 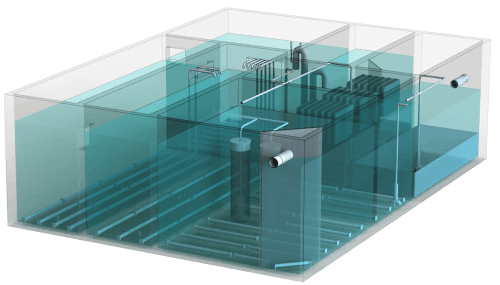 The only system in the world of autonomous sewage system, which has 7-program automatic power control, depending on the income of sewage, which saves up to 70% of electricity. The team of real professionals of their business is headed by Dr. Alexander Teteria-inventor, academician, author of energy-saving wastewater treatment technology BIOTAL, the founder of the company UKRBIOTAL. We offer professional work for more than 100 specialists of the company and its representatives, we have a unique BIOTAL technology and a European approach to work. When designing the project, all sizes of structures should be taken in accordance with the design specifications. Installation and maintenance of sewage treatment plants BIOTAL. 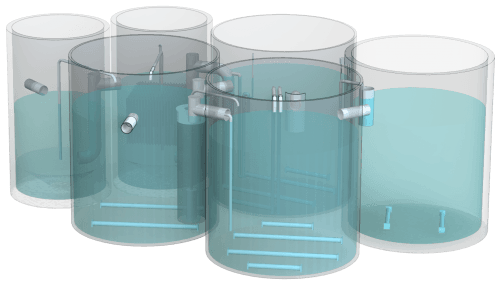 BIOTAL technology is a new way of deep biological wastewater treatment - a three-stage biological reactor SBR with multi-circuit automatic recirculation of active sludge. 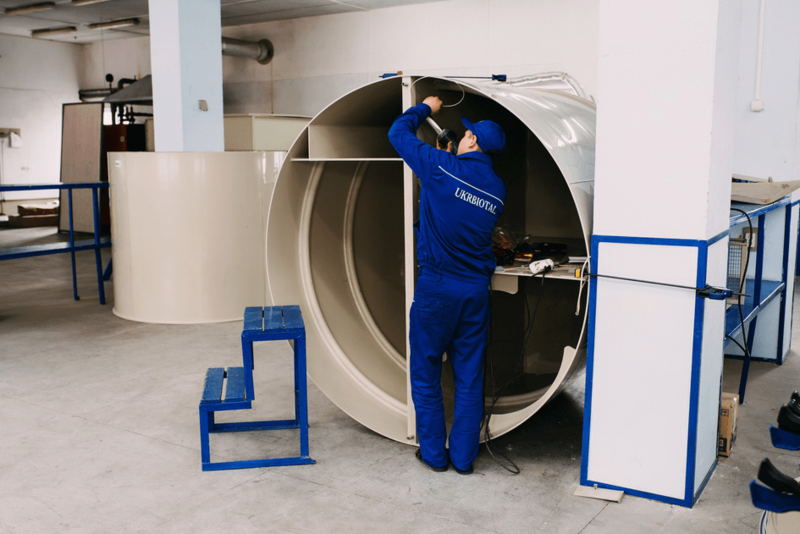 The strategic goal of UKRBIOTAL company is to provide customers with a full range of sewage disposal services on a turn-key basis: from designing of treatment facilities to putting them into operation and their maintenance. BIOTAL technology works in such a way that purified sewage is close to natural in its properties, so waste water can be turned into secondary water circulation, saving drinking water, the cost of which increases from contamination of water supply sources. Since the BIOTAL technology was created practically from the "zero", there are no shortcomings from other technologies, there were their ownshortcomings, but as they arose, the author of the technology solved them. As a result, BIOTAL Technology became the best and there is no analog in the world. 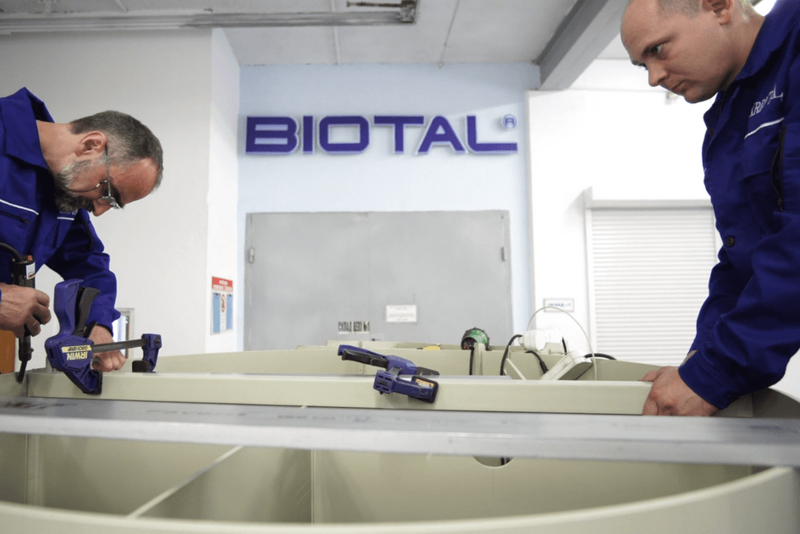 BIOTAL products are represented by a wide selection of treatment plants for sewage treatment. As a rule, the sewage system in a private house is not placed in a centralized sewerage network. Here you need an autonomous sewer system with its own cleaning system. 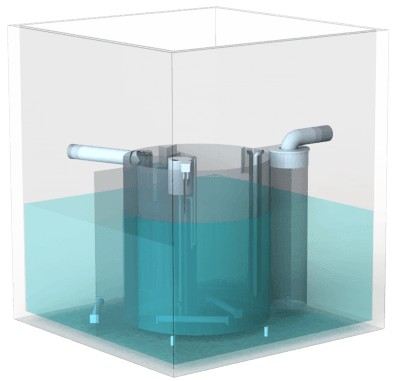 We offer sewage treatment plants for private houses with any number of permanent residents (starting from 4 people). 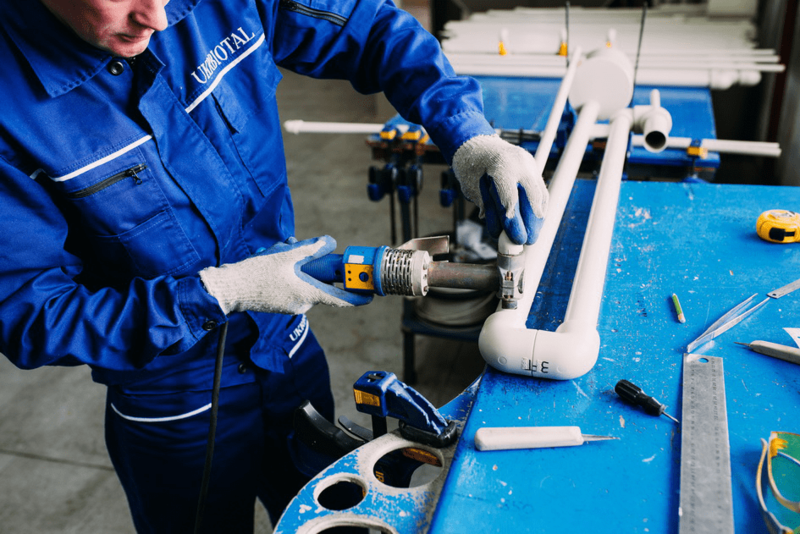 BIOTAL installations are also ideal for servicing temporary accommodation (for example, autonomous sewerage in the country). For effective operation, local treatment plants must be designed at a higher technological level than the city's buildings will be cleaned up. This requirement is met today only by sewage treatment plants BIOTAL. Our plants (monobloc, block-modular, one-and-two-module purification plants) have a unique technology that allows to obtain perfectly clean industrial water at the output. The excess amount of fat in an autonomous sewage system with a large volume of "kitchen" drains (schools, cafes, restaurants, sanatoria) can damage the work of the treatment plant. 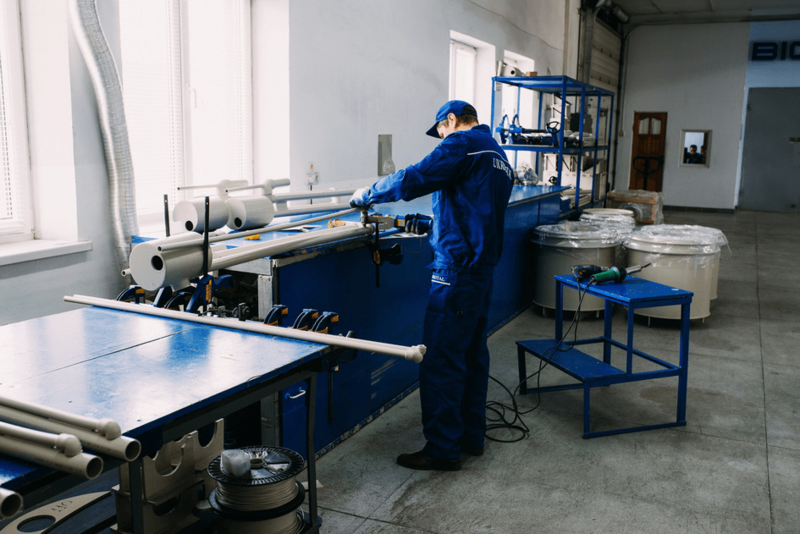 Here you must additionally install a grease trap (grease trap). 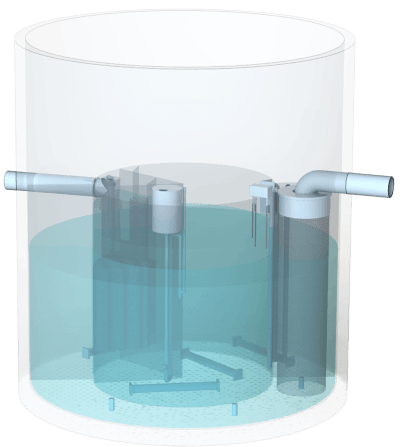 It will remove excess fat and ensure a stable and effective treatment of wastewater.